Based on a true story. A heartbreaking and a miraculous love story of a man who waited 8 years for his true love. A mega box office hit in Japan! 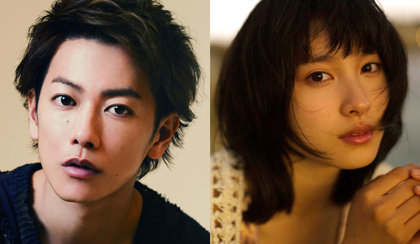 Hisashi (Takeru SATO) and Mai (Tao TSUCHIYA) are a happy couple in their 20’s who are engaged to be married. But three months before their wedding, Mai becomes seriously ill. Her heart stops momentarily, and she falls into a deep coma. Hisashi visits Mai at the hospital every day before work. With no idea if or when she will ever awake, Mai’s parents encourage Hisashi to find someone else, but he refuses to give up and continues to pray for her recovery. As if his prayers are answered, Mai begins to regain consciousness several years later, and even utters a few words. But tragically, she has suffered brain damage and has no memory of Hisashi.